ONGC Recruitment 2017- 721 Nos. Posts of Graduate Trainee Vacancies: Apply Online Before 27-04-2017. - Jobs4NE : Jobs in Assam and North East India. 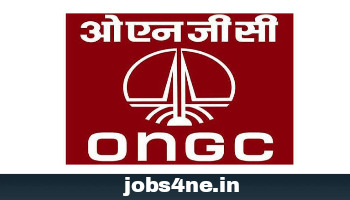 ONGC Recruitment 2017- 721 Nos. Posts of Graduate Trainee Vacancies: Apply Online Before 27-04-2017. Oil and Natural Gas Corporation Limited (ONGC) invites application for the 721 posts of Graduate Trainee (AEE, Chemist, Geologist, Geophysicist, Materials Management Officer, Programming Officer & Other vacancies) in Engineering and Geo-sciences disciplines through GATE-2017. Advt. No. : 3/2017 (R&P). Starting Date of Online Application: 12-04-2017. Last Date of Online Application: 27-04-2017. Tentative Date of Interview: 23-05-2017. Name of the Post: Graduate Trainee. 1. AEE (Cementing)-Mechanical: 15 Nos. 2. AEE (Cementing)-Petroleum: 02 Nos. 3. AEE (Civil): 25 Nos. 4. AEE (Drilling)-Mechanical: 56 Nos. 5. AEE (Drilling)-Petroleum: 04 Nos. 6. AEE (Electrical): 82 Nos. 7. AEE (Electronics): 28 Nos. 8. AEE (Instrumentation): 20 Nos. 9. AEE (Mechanical): 74 Nos. 10. AEE (Production)-Mechanical: 59 Nos. 11. AEE (Production)-Petroleum: 29 Nos. 12. AEE (Production)-Chemical: 99 Nos. 13. AEE (Reservoir): 18 Nos. 16. Geophysicist (Surface): 28 Nos. 17. Geophysicist (Wells): 25 Nos. 18. Materials Management Officer: 30 Nos. 19. Programming Officer: 09 Nos. 20. Transport Officer: 13 Nos. Educational Qualification: Graduate Engineering degree/ Post Graduate degree in relevant subject with 60% marks. For more details please refer to the advertisement details. Age Limit: As on 01-01-2017, Maximum age limit is 30 years of age. Upper age relaxation for OBC Candidates is 3 years, for SC/ ST Candidates is 5 years and for PWD Candidates is 10 years. Scale of pay: Rs. 24900- 50500/- pm. Selection Process : Selection will be through Graduate Aptitude Test in Engineering (GATE) 2017 and Interview.